It was dark and stormy when I left work yesterday. After getting in my car I looked out the windshield and immediately opened the car door, jumped out into the storm and grabbed my digital camera from the trunk. What did I see that excited me so much? 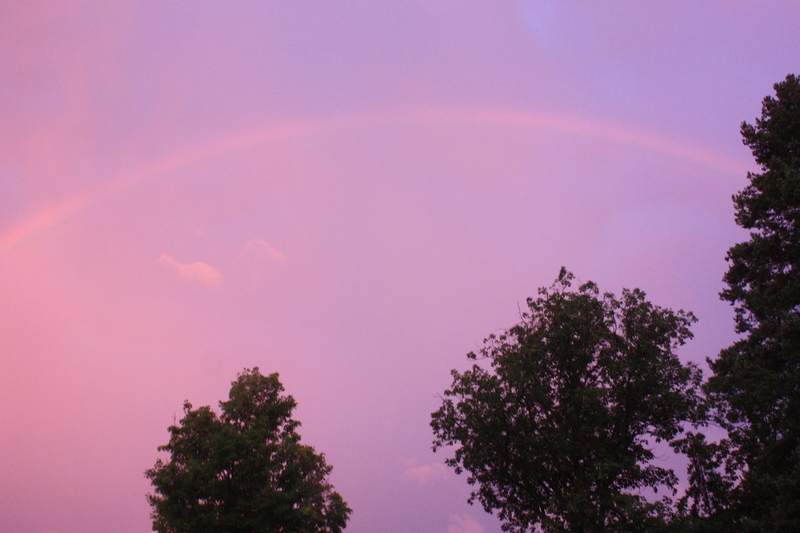 This HUGE rainbow. It spanned the parking lot, the road and ended somewhere into the fields on the other side of the road. These pictures do not do it justice and if I had not been at work, I would have gotten some buildings in the picture so you had a better perspective. I am not sure if the company I work for would appreciate pictures of their building on my blog. Yes, I stood out in the storm with lightning and thunder all around to get these shots. 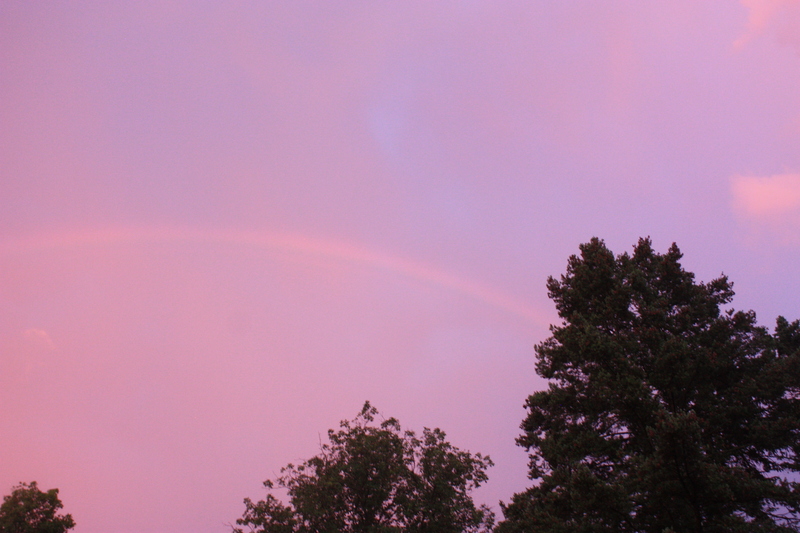 There was just enough light getting through from the Western sky to cause the rainbow. so God is with us during the nasty storms of our lives. 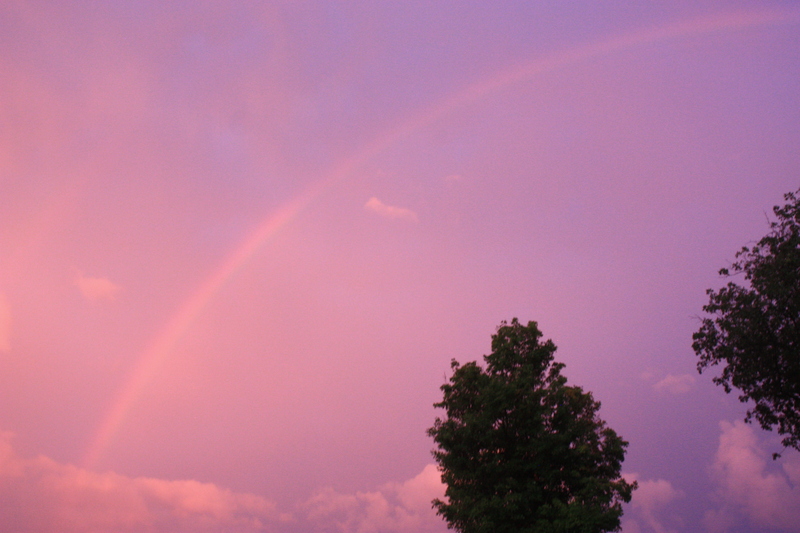 May you always find the rainbow God puts in your storms. All you have to do is look for it.